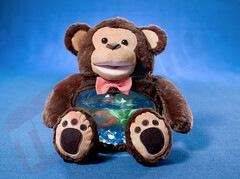 First, check out the video above on how to properly set-up your Teddy Tank for safety reasons! Now the real questions is why should l let my young child have its own pet betta fish? Do you want to teach your child responsibility? 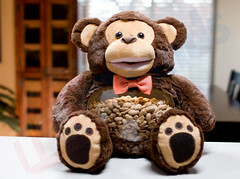 Do you want to teach your child how to care for and nurture living things? Or maybe, just maybe you want your child to be accompanied by something cute, and fun to have? 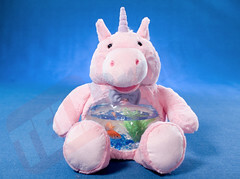 Than that is why a Teddy Tank is for your child, a lot of good aspects come out of having a pet fish. In addition, it is a low maintenance pet that comes with enormous life lessons! Whats better than that? So if you answered yes to any of those questions visit TeddyTanks.com and get yours right now! Out of all the women in business, we are extremely proud and honored to have Senior Vice President, International Sales of Telebrands, Poonam Khubani, as one of Forbes Women Business Leaders in America. Forbes magazine is one of the most widely read business magazines in the world, featuring original articles on finance, industry, investing, and marketing topics. Poonam’s article portrays her qualities that stand out from so many others, making her a Business Leader of America. Poonam was born in India, and prior to moving to the United States, the former actress worked in Bollywood, hosted TV Asia, anchored Hindi news for ITV, produced films, and wrote and recorded chart-topping Bollywood and pop songs. Immersed in the Indian culture, the political science major speaks three different Indian dialects, as well as Spanish and English. As Senior Vice President of Telebrands, the leading DRTV industry in the world, Khubani has had a vital role in expanding the DRTV market internationally. Poonam says, ” ‘An understanding of political and regulatory forces, nuances of the languages, the economic environment, and lifestyle preferences of the target consumer drives every decision we make. These factors impact everything from product selection and manufacturing to marketing and distribution.’” Khubani is extremely careful of the country’s culture of which Telebrands products enter, and she is successful in driving the sales in those countries. In 2014 alone, Telebrands will have over 20 products being sold in 140 countries on 5 continents. How impressive is that? What is the reason for Telebrand’s international success? It all stems from Khubani’s earned trust in her partners because she always provides honest evaluations of the product’s potential and develops plans that help avoid pitfalls in unfamiliar markets. If you have a product that has a broad mass market appeal, then getting in touch with Poonam Khubani would be your best bet for success. As a Women Business Leader in America, she is an irreplaceable player in the world of business, and we are so grateful to have her guidance in the most successful DRTV company in the world. Telebrands is Pitching to Kids! The Record, the largest Daily Newspaper in North Jersey, featured an article this morning with Telebrands and its near future with bringing its “As Seen On TV” pitch to children! The article does a great job of touching on Telebrands past: how it started, how it has succeeded and some of it’s rough patches. It also talks of the amazing work ethic that founder and CEO AJ Khubani utilizes that drives this company further and further into success. And now, the way that Telebrands is expanding its business? Marketing to kids. The article’s main feature was previewing the upcoming months for Telebrands which involves three new products directed for the use of children. 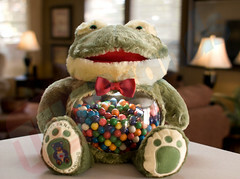 They are the Ball Pets, which are a fun plush ball that when opened, reveals a stuffed animal, the Teddy Tanks, a stuffed animal with a tank as a belly, and Phantom Saucer, a magical illusion that is fun for all kids! These products will be advertised on kids channels as well as being sold in the major retail stores. Khubani even mentioned that Toys “R” Us will be selling the products! “Khubani said telemarketing is perfect training for the toy business, because both businesses must continuously search for hot new merchandise ideas. ‘Our business relies on a constant flow of new product introductions, so we’re already exercising this business model,’ said Khubani.” So, don’t miss out on the kids products you’ll be seeing very, very soon! Ball Pets, Teddy Tanks and Phantom Saucer will be in the house of millions of kids across America! Order yours today!